No parent would ever want to ruin their child’s love of learning. But it can happen so easily! So take warning. These ten attitudes will impact not only your home environment, but also your child’s love of learning. For a thriving growth-place, be careful to not make these mistakes. Remember those late nights at the table when your parents made you finish the dreaded vegetable you hated most? Eat it all, they’d say. Or no dessert. 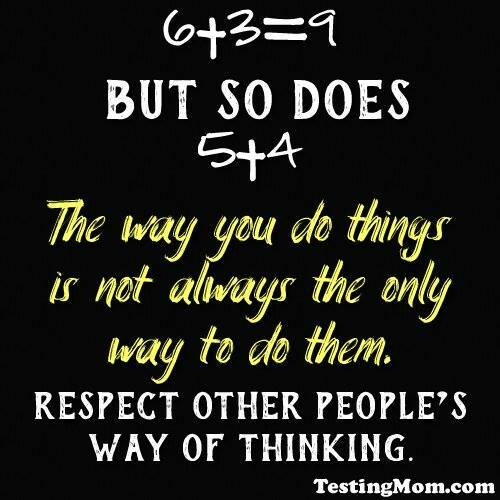 It works the same way with teaching, love of education and learning. If you force them to sit through the whole episode of how it works, because it is good for them, your approach is already off-base. They will most likely NEVER want to know how it works. Take time to approach it this way: Take them to a place where they can see how a cow is milked, for instance, and let the curiosity and love of learning grow from there. It is a subtle shift in mindset. But it makes a world of difference! On the other end of the spectrum is this place of complacency where learning is just, “eh” in our homes. We are tired from working and the day’s activities, so we either forget or choose to be hands-off with learning in our home. Your child is attuned to listen to you. Draw them out and find what they love to talk about and what their natural learning bents are. Perhaps they are all about speed. They race everywhere and play cars and enjoy going fast on the swingset. You have a prime opportunity to teach your child about everything that contributes to speed–physics, mechanics and design, air velocity, fuel-types and so much more! Be intentional and look for the teaching moments with your child. To piggyback on the previous one, as you are looking for teaching moments, be willing to follow through. It can be a simple as a complaint like this one, “Mom, why do these biscuits feel like a brick and taste like charcoal?” Well, you can say, let’s make them together and see if we can make them better together. Then find recipes to try, varying the baking powder and the cooking time, etc. It is a prime opportunity to take a loss and turn it into a win–with an ongoing joke for the future. Listen, I get this one, it is so easy to just let kids be kids and check out on them. Maybe we’re tired of going places or it’s cold and rainy outside. But we only have a blink of time to encourage learning in our homes. So use it. Make a bored-board and list all the fun and educational things to do in your hometown. On days when you know you’re all in a rut, make a plan to do one of the things on your list. There are free options and options you can walk to, so you have no excuses. Even in extreme temperatures, you can figure out some great learning ideas that are in your own backyard to do. For instance, how fast does this glass of ice melt in the sun? Or how fast will water turn into tea in the sun? Use the questions your child has and springboard them into learning fun! Appreciate that your child found the answer by a different method. Praise her! And take time to say they are an out-of-the-box thinker–tell her those kinds of people make good changes and advances in the world. Now on the other hand, there are times when there is really just one way–and perhaps there is a safety issue at stake. Like heating water in the microwave too long, for example (it will explode the door open, shattering the glass container and someone could get burned or cut–ask me how I know this! Eek!). Be sure and give firm instructions. And when your child is approaching a situation in a dangerous way, be firm and kind in instructing them. Often if your child is hungry, tired, sick or emotionally spent, it’s not the best time to dig into learning something new. The resistance and tears that ensue will confirm this theory. Honor your child’s physical cues and let him rest and eat. Being still and doing nothing is a good recovery for us all. It gives us time to recharge and be ready to jump to it, when the physical needs have been met. Be understanding when it just isn’t the right time to press into learning. You may know Karen’s story about her son, Sam. He was having trouble hearing, so his test didn’t rightly reflect his ability. So she got him help to hear; and with her mother’s help, they taught Sam, which resulted in success in testing, schooling and his life today, as an adult. It also resulted in Testing Mom coming to be a company! Be sure and take your kids to have their hearing and eyesight tested. Also, have regular doctor and dental visits. Chronic pain that is left unchecked can lead to attitudes that begin to shape your child in a wrong direction. If your child is slow to reading, it might have nothing to do with your child’s ability to learn, but might be an eye-tracking issue or dyslexia. There are hosts of other physical needs. Some need medication and others are simply a need for us to be attentive, as parents. We have the responsibility to care for our children’s physical health. Another example is a friend of mine, whose child was extra sensitive to dyes in food, drinks and candy. It affected her child’s personality and gave her child headaches, as well. Paying attention and being proactive are the difference-makers here. If you’ve ever read Gary Chapman’s book called The Five Love Languages of Children, he shares that we all have different ways we show and receive love–and therefore impacting the way our children grow. Some children are motivated and feel love by physical touch. So you can sit with your daughter, while she reads, with your arm gently around her. Some are motivated by quality time, and this is a great way to pour into you child. Being together, doing things together, learning together and talking about what you are learning–all are springboards to connecting together and growing in learning, at the same time. 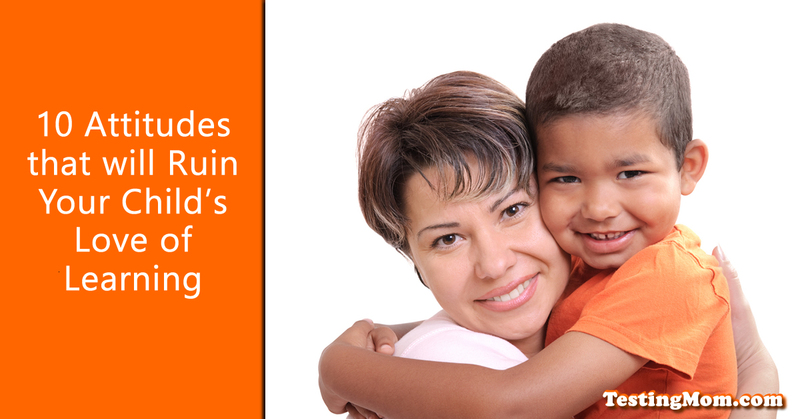 Being in tune with the way your child feels love also contributes to how they thrive and grow in learning. On another level, your child may have some chemical (physical) imbalances that impact her ability to learn–and it presents itself in emotional outbursts. This is the time to go back to number 7 and get your child to the doctor. Finding the source of the issue is better than treating the symptoms. We all know the stories of parents, who want their children to become just like them, so they only allow their child to learn about certain subjects, but other subjects are off limits. I have seen this first-hand with a family friend, who is a scientist. But his son is not into science. He loves art! His father could not praise him for his art. He resented that his son was not a scientist, and therefore not smart, he said. This child was frustrated, because he wanted to please his father, and yet, he wanted to draw. In this circumstance, sometimes it is hard to see ourselves and look in the mirror. But I encourage you to ask yourself some hard questions. Encourage the things your child cares about and then you can encourage them to learn about the things YOU love to learn about–it is a net win in the end. Finally, take time to notice your child’s learning style. Some are kinesthetic and need to feel and do things to learn. Like my youngest daughter, she loves to have a bucket of sand, and then she’ll count the number of seashells she finds in the sand. It is her favorite way to learn–hands on. My oldest son wants to read the entire manual, before trying anything. He wants to succeed before even trying, and this is his way of being certain that he will win the first time. He studies how the successful people do it, and then he goes that route. My other daughter, on the other hand is all about trial and error. She tries something, it doesn’t work. So she tries another way, ’til it becomes the winning way. Learning styles for your child may be different–like auditory, writing or visual (seeing it done). All in all, we want to be flexible. If your child has to tap/drum while he reads (and it’s not in a place where it would be rude to make noise), let him. If your child needs to draw the life cycle of a butterfly and then needs to see it and touch it to learn, then find a local butterfly pavilion and have fun! All in all, the goal is setting your child up for success in learning and being curious and eager to keep on learning. Setting a standard and being a model of continuing to learn and grow ourselves, all our days, is the best way to create an environment in your home, where your child wants to learn and grow all his or her days, as well.